Boat and Cabin heaters for every application. 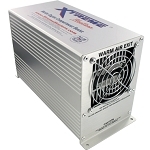 Bilge engine compartment heaters by Xtreme and Boatsafe. Dickinson Marine cabin heaters and fireplaces that are attractive and will add warmth to your boat or other areas in need of heat. The Dickinson Newport Propane heater - fireplace P9000 and P12000 and the Newport solid fuel heater. The Sig Marine propane series. The Dickinson diesel cabin heaters. Antarctic, Newport Diesel, Lofoten, Alaska, and Sig 100. 120, 170 and 180. We also carry Kasco De-Icers and Power House Ice Eaters for your de-icing and water circulating needs. Keeps docks and the area around your boat free of ice.